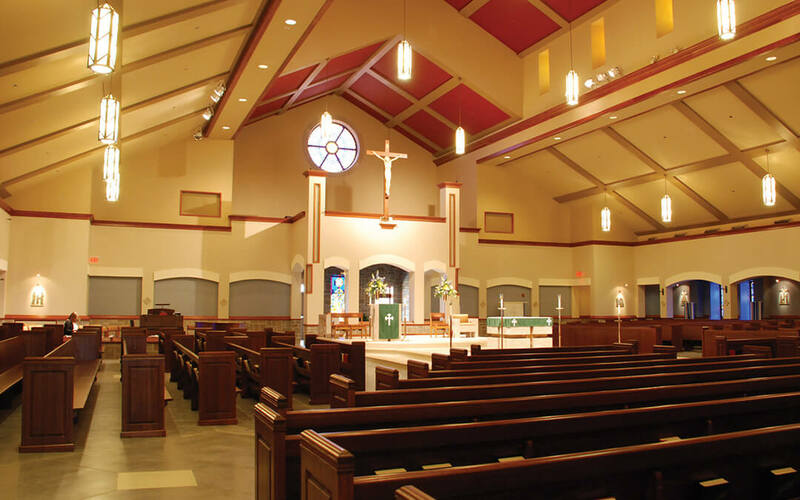 St. Mary’s Catholic Church in Blacksburg, VA was a project that merged the latest in audio system technology with the challenges of creating a traditional style worship space. Diversified Design Group, Inc. met these challenges by using steerable line array speakers hidden within the architecture of the room and a user-friendly media control system with multiple presets. Separate control presets were implemented to adjust audio coverage for service types and audience size.Working closely with the project architects, we were able to conceal the loudspeaker system while maintaining excellent sound coverage and speech intelligibility.